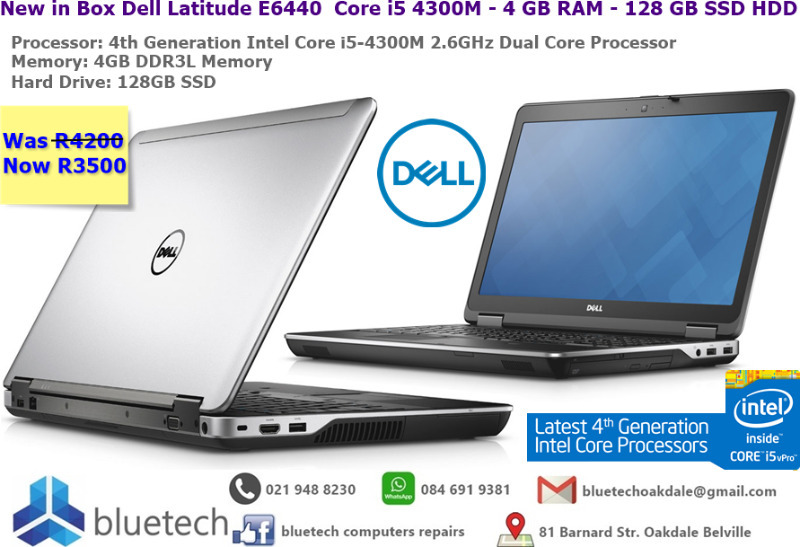 Hi, I’m interested in New in Box Dell Latitude E6440 Core i5 4300M - 4 GB RAM - 128 GB SSD HDD - Bluetech . Please contact me. Thanks! New in Box. 6 Months Guarantee. Only 8 Units up for grabs!! Software: Windows 10 Professional, Office Professional Plus 2016, Security Essentials, Adobe Acrobat Reader, Mozilla Firefox, Opera Internet Explorer, Skype, VIc Media Player, K-Lite codec Pack — Latest.